The financial success of the previous four Paranormal Activity films means that inevitably more sequels and spin-offs are on their way. 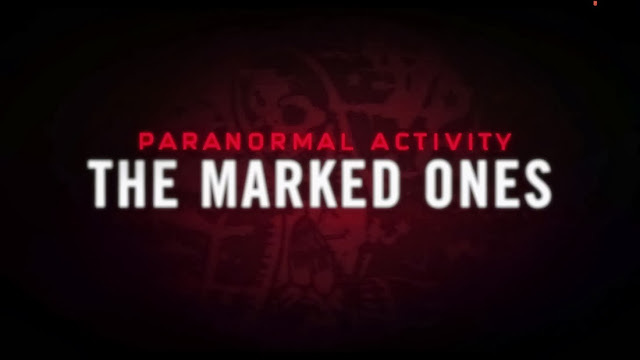 The first of the latter category, Paranormal Activity: The Marked Ones will be with us on the 3rd of January 2014. This spin-off appears to be looking to tap into the Latin market in the US as it follows a separate group from the previous entries. Here we follow Jesse (Andrew Jacobs) after he is marked by a mysterious force - leaving his friends and family to save him. From the trailer it seems that The Marked Ones is a reasonably big departure from the first entries and will hopefully breath some new life into the franchise after its disappointing fourth entry.